Word from under the Black Hat is that Kings Island will announce the retirement of Firehawk in the coming weeks. At this time this is just rumor. Firehawk joined Kings Island for the 2007 season where it was moved from the now defunct Geauga Lake. This Vekoma “Flying Dutchman” allows riders to have a unique face down flying posture while riding. It is the only flying coaster in the state of Ohio. In the words of the internet: "BIG IF TRUE." If this is true, I'm both surprised and not surprised (is that a thing?). On one hand: this coaster hasn't been around all that long (not just in KI terms, but in its overall lifespan as well). It's a crowd pleaser, a relatively fun ride, and popular. On the other hand: it's a maintenance headache, complex to operate, has terrible capacity, etc. 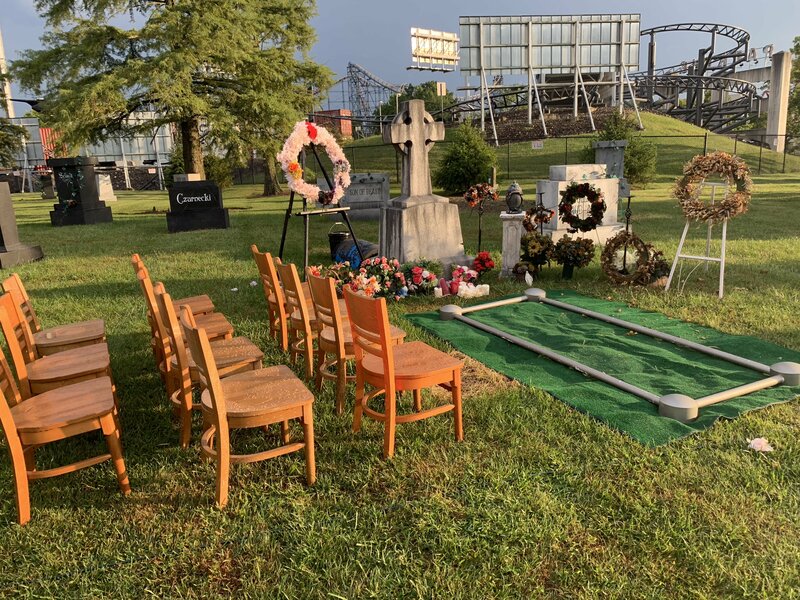 Wonder what the reasons could be and how that will affect the other Vekoma Flying Dutchmen at Carowinds and Six Flags America. Heard a rumor once that Paramount Parks was so amped on Stealth at PGA that they essentially told Vekoma: "get some more ready for other parks." Then, Stealth debuted as the maintenance nightmare that it was/is and they went back to the Dutch with: "not interested anymore" while Six Flags was more than happy to buy anything at a bulk discount thus grabbing the other two. Also heard that Firehawk was able to be erected at Ki easily because its current spot was always going to be "its" spot, or that it would've gone where Backlot/Antique cars resides/resided. Heard something similar for Nighthawk/Borg Assimilator - that it was able to be placed so easily because one was always "slated" to go there. Would love to hear if there's any truth to that. Someone here knows. For the most part that is true. The only difference as I was told it is that it was going to be placed on the old King Cobra site before Delirium came along. One way that you can tell Firehawk was not originally designed for the spot it is in now is the height of some of the concrete footers. They needed to be built up because the supports are not long enough for the current placement of the ride. The development of what would become X-Flight and Batwing was far enough along before Paramount cancelled them that the ride was in the manufacturing process and promotional materials including souvenirs were being produced. The ride that was coming to Kings Island was also going to be called Stealth. I thought the sister coaster was going to Kings Dominion though not Carowinds. If this is true, I think I'm more intrigued then sad. Yes, it is a super awesome unique coaster that pushed the limits of what was possible back in the day and I will be a bit sad if it does leave us, but realistically, I can't ride it any more due to the forces of that vertical loop on my lungs. Also, I remember my legs killing me after the double barrel rolls and into the helix. While it is (was?) a fun ride, I can see why it would necessitate removal (as it does have frequent downtime). I'm just glad it graced our presence for a time so that we could all experience what was the pinnacle of thrills for 2001. I hope something truly innovative and unique takes its place. RIP to my first flying coaster. PS: I may have to take one last flight before the end of the season. Site site grading alone was an engineering marvel. It literally is built into the side of a hill. The reason why the old ride rotation idea never came to full fruiting in the industry was that they figured out that the cost of moving a large ride ended up being comparable to just getting a new one. 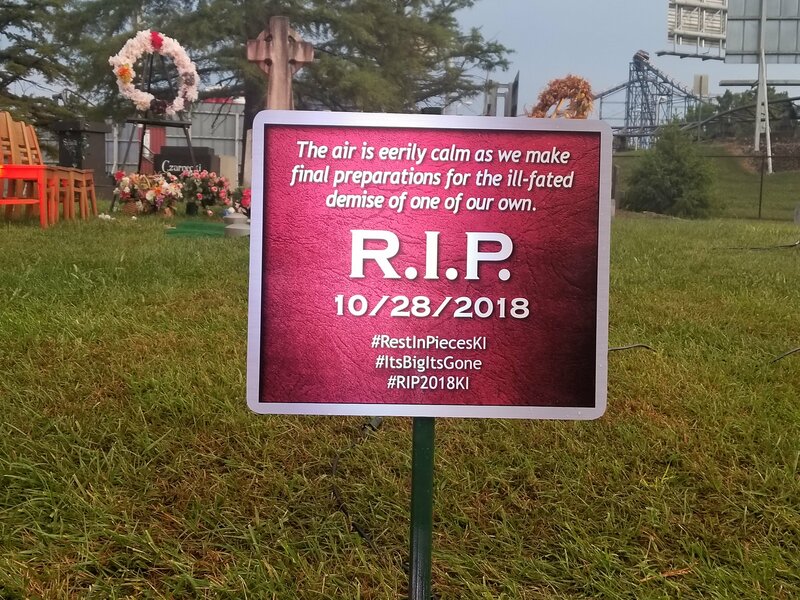 Interesting, if it gives it's last ride this year, it might be related to the 2020 project. Thanks! Always noticed the strange footings when I was around the ride, but wasn't sure if that was due to the site placement for relocation, or, the "original plan" (although, I also had heard a VFD was slated for the tiques spot). King Cobra site would've been interesting as it would've really needed to be crammed/wedged in there. 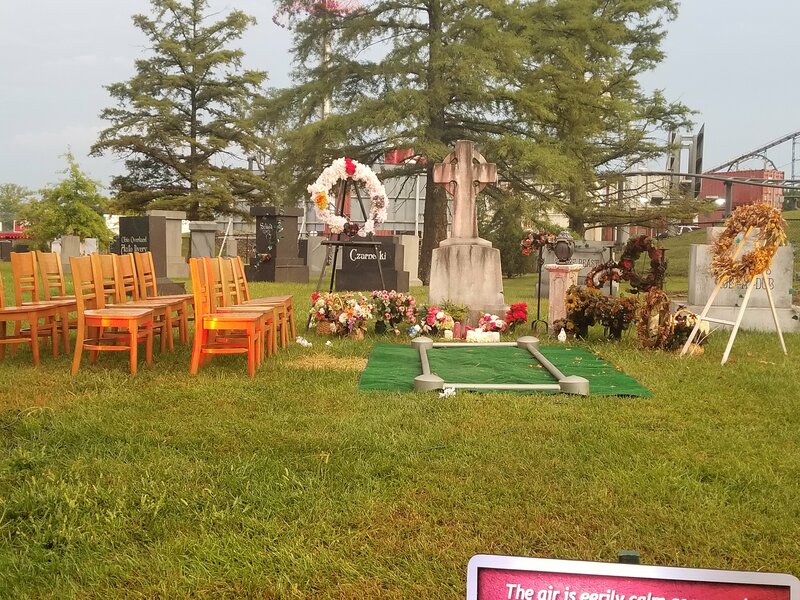 KD could very likely have been a possibility as the Carowinds reasoning I had heard was from a different source. Interesting that they were going to go with "Stealth" as the branding and not try to tie in to a movie franchise (no matter how loose). Paramount seemed to go through a spell where they were like "Ah, screw the movie themes, let's do it Six Flags style" and out came "Son of Beast, XLR-8 I mean Hypersonic XLC, Stealth, etc." Hell, even Drop Zone, Face/Off, and Congo Falls were only very, very loose themes punctuated by posters of really bad movies placed within proximity of the ride. Ah, Paramount, I truly do miss them. Very interesting... If the speculated 2020 giga is actually coming, I think I just realized my prediction for where. Firehawk has seemed like a remarkably complex ride for a seasonal park for me for a while, but since it's lasted this long, I figured it'd be around for a while. 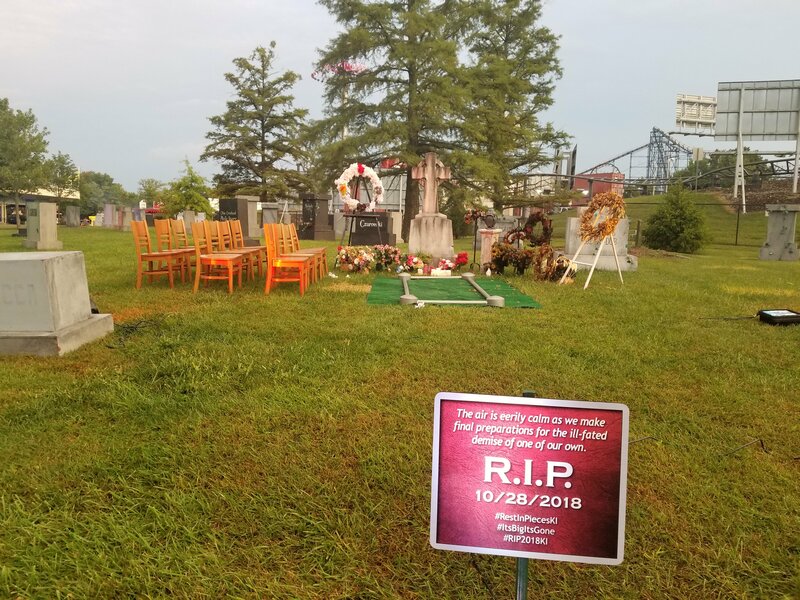 But if you'd told me the Vekoma Flying Dutchman at Kings Island wouldn't outlast the one at the dumpy Six Flags near DC, I wouldn't believe you. Because I'm too cheap to pay for a locker, the emotion I associate most with this ride is fear that my stuff will fall out of my pockets. It's never been a must-ride for me, but I've got friends who love the thing. A number of them also liked Son of Beast, though, so maybe they're just wrong. Pros- Its a unique ride that gives a fun riding experience. It's in a cool section of the park that compliments Flight of Fear. Cons- The lift hill is extremely loud, you stare up at the sun for what seems like an eternity, capacity is horrible, its down more times than it should be, and the line for it is horrible. Like what @Gordon Bombay said, I'd be surprised and bot surprised if they did away with it. The Flying Dutchman model has become pretty obsolete ever since B&M made their own flying model. If something better were to replace it, like a giga, I'd be fine with it leaving. It would be interesting to see if it gets removed. I know the park is able to expand without removing any rides, but removing Firehawk would open up access to the back woods and more onto the LCS land. It would be weird to see it leave. It looks pretty good where it is from the midway. I was never a fan of the placement of Firehawk at KI. It is kinda hidden behind the FOF building. A ride that that needs to be on display where everyone can see what makes it unique. Also while standing in the queue the area just seems dead. FOF is inside and adds no kinetic to the area and Firehawk dispatches so slowly it has the same effect. You just feel detached from the rest of the park back there. When i rode it as X-Flight at Geauga Lake it was front and center. I could be seen from the parking lot and also very well from the area of the park it was placed. Dang it would be weird to not see Firehawk around. However, I can totally understand why they would choose to remove it. I'd still miss it though as it's a pretty fun ride. Yeah, with the placement of the antique cars and them taking up half the midway, the DA location for the Giga was compromised and left some complications about where to put the station. This would clear that up quite a bit. Of course, this does at least make you have to consider that maybe it's not going to be a giga afterall. Removal of an inverting coaster could lead to the addition of another inverting coaster. I'm still firmly in camp giga, but this would at drop the odds to at least 90-10. Eh I really wouldn’t be bothered at the removal of Firehawk for me it’s a hit or miss, for the most part when I visit the park it’s not usually on my to-do this unless it has a short line, will I be sad if it’s removed? Eh not really because I know something will eventually take its spot in X-Base. Hopefully, this isn't true. Firehawk is a unique ride. Taking it out would take away from KI's diverse coaster lineup. KI is blessed with so much land to expand. I disagree with tearing any coaster down at KI to build another coaster unless absolutely necessary, especially when CP is landlocked and still finds ways to keep their existing coasters when building new ones. 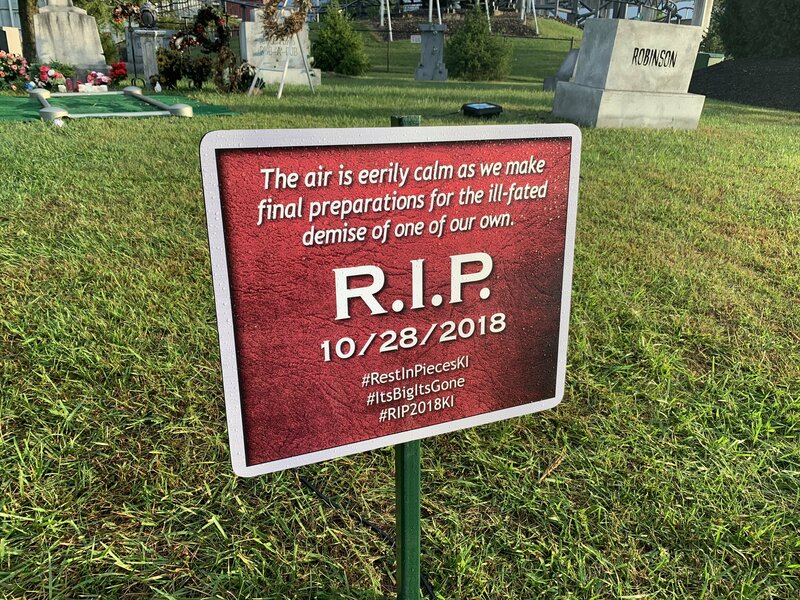 By the clock, there is a sign that has the date 10/28/18 on it with the following hashtags: #RestInPiecesKI #ItsBigItsGone #RIP2018KI . From these hashtags, it sounds like something is getting the axe, but what? Is there any way of getting a picture of this sign? I will head that way soon. I don't know about you, but to me that phrase basically confirms this is about Firehawk...Obviously we won't definitely know until then...but to me that pretty much spells the end for one of the 3 Flying Dutchmans ever made. I fully understand the reasons for it leaving, and understand why it should go, but I can't help but to be truly saddened by this. I was 9 when it came to KI. I basically grew up with this coaster, and even though its bad capacity made it hard to get on, when I did, I really loved it. Hmmmmmmm.........bet you Cedar Point's next coaster is a B&M flyer. I merged the 2 threads. Lets keep speculations here! It’s Big It’s Gone though doesn’t seem like Firehawk to me. Makes me think of dumping Vortex or FoF? I doubt it’s FoF, but every time I go to KI, Vortex is essentially a walk-on. Who has the what’s open ride list for Winterfest? EDIT: FoF is open for Winterfest, so not that. The definition for a Vortex is: a mass of whirling fluid or air, especially a whirlpool or whirlwind. So wouldn’t “The air is eerily calm” teaser fit that better? That’s what I’m definitely starting to think. That’s a possibility as well. Did it ever become less of a maintenance nightmare with better reliability?